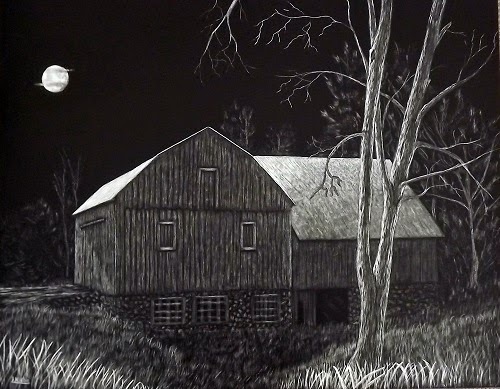 Pennsylvania artist Lynn Kibbe works in both Scratchbord and watercolor, covering a range of subjects from architecture to wild life. Lynn teaches regularly at the Valley Gallery in Jersey Shore, PA. Her work is now on display at the Clinton County Arts Council through January 24, 2015 and at the Lewisburg Artist Guild Members’ Exhibit for the month of January.